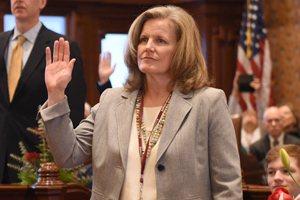 I am proud to serve as the State Senator from Illinois’ 21st District. I hope you’ll find this site a useful resource in keeping up to date with what’s happening in our district and in Springfield. Please contact any of my offices with questions or ways I can better serve you. It is my honor to represent you in Springfield. "Today and every day, it’s important to reflect on Dr. Martin Luther King Jr’s work and the significance of the Civil Rights Movement. We should think about how far America has come since that time, but how far we still have to go. "During the fight for civil rights, many people told Dr. King and his allies that they were moving too fast, demanding too much. They were told that change would come but that they should be quiet and wait their turn. "Too often we ignore the message because we dislike the medium. We write off someone’s experiences with racism, discredit their experience, because we disagree with their method of speaking their truth. We must do better. We need to listen when people speak out about racism and injustice. We need to personally reflect on our biases and really think about what's being said. And we need to stand together and demand justice and equality for all." 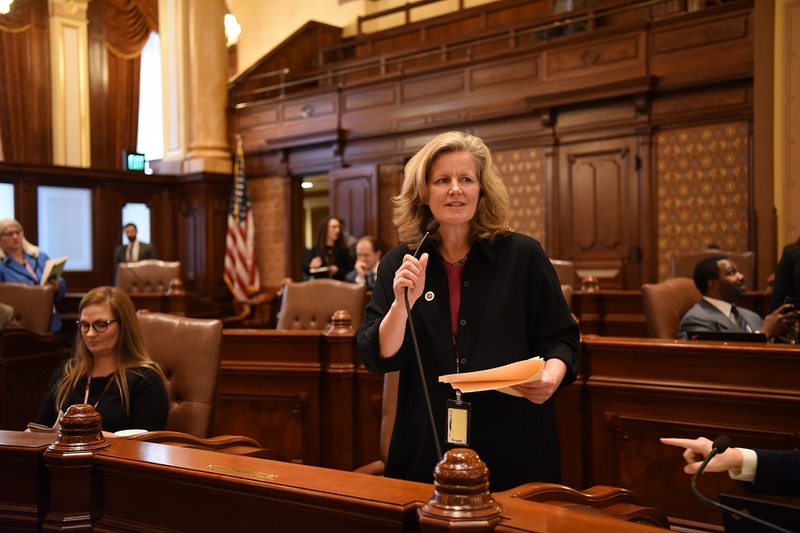 SPRINGFIELD – State Senator Laura Ellman (D-Naperville) was sworn in to the Illinois State Senate during the Senate inauguration today in Springfield. 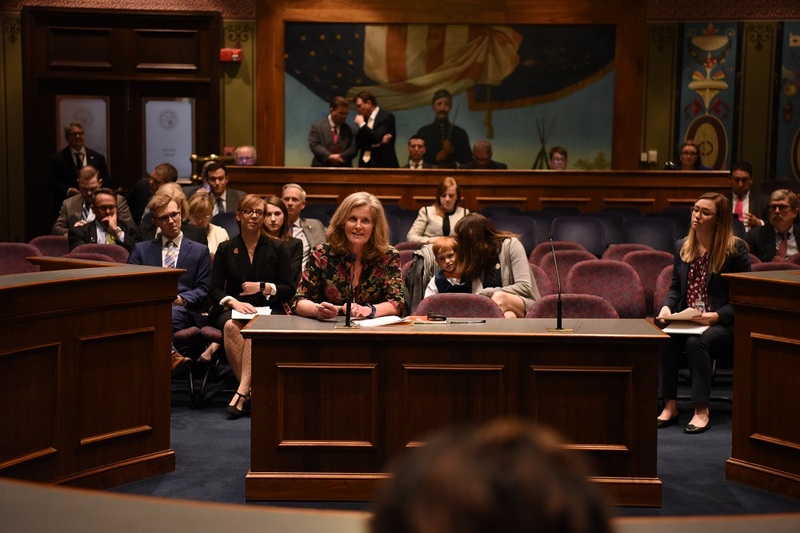 “In the Senate, I will work to ensure the state pays it fair share for our schools so we can end the overreliance on property taxes, and I will fight for real reforms like enacting term limits for legislative leaders, ending gerrymandering and limiting the power of lobbyists and corporations,” Ellman said.